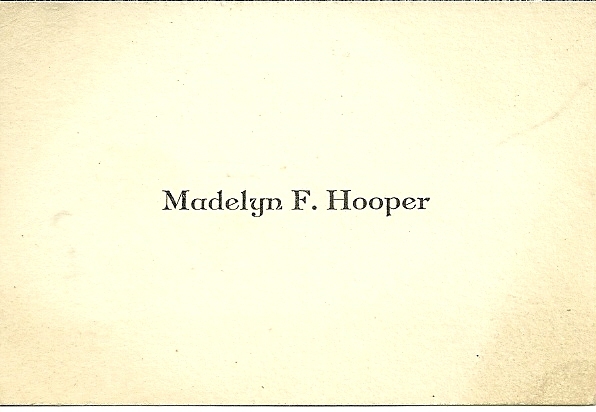 I'm assuming this is a graduation photograph, as there is a little card with the name of Madelyn F. Hooper tucked inside. 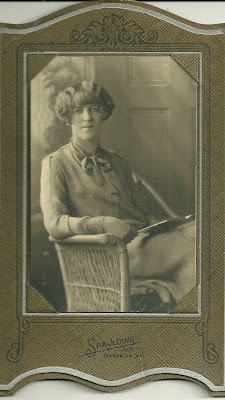 The photograph was taken by the Spaulding studio of Hardwick, Vermont. 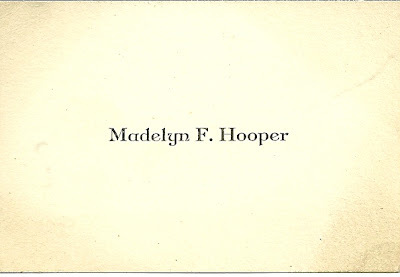 Madelyn Flora Hooper was born 6 February 1910 in Johnson, Vermont, the daughter of Arthur Jacob and Mary Elizabeth (Fletcher) Hooper. Her paternal grandparents were Jacob T. and Flora E. (Beecher) Hooper of Vermont. 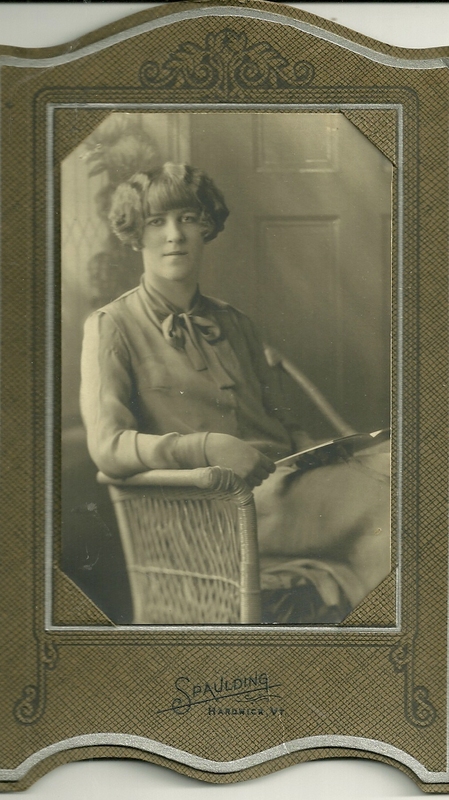 Her maternal grandparents were Frank A. and Mary (Lovering, I think) Fletcher. Madelyn married Ronald Owens Davis, who was born 29 December 1905 in Johnson, Vermont, the son of Walter Adelbert Davis and his wife Kitty Cleora (Fletcher) Davis, both born in Johnson, Vermont. If you have any corrections, additions or insights regarding the above information, please leave a comment in the comments box or contact me directly. Great photo. I love her hairstyle.